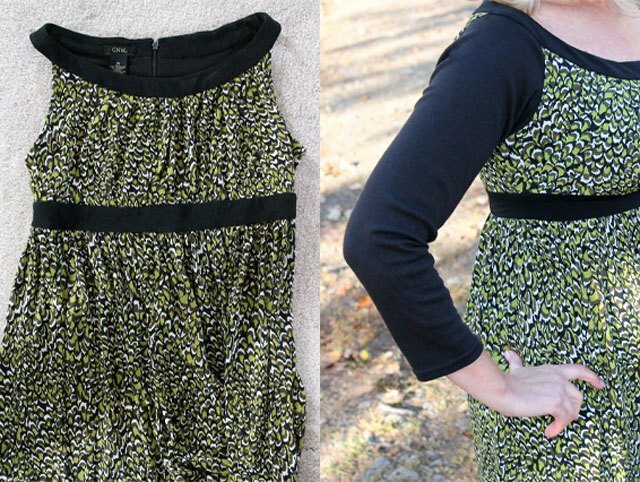 The perfect dress, both flattering and modest, can often be so hard to find. But not if you know how to add sleeves to a sleeveless dress. If showing those upper arms just isn't your thing, go ahead and buy that sleeveless dress anyway because you're about to learn how to easily make any sleeveless garment more work-friendly, comfortable and cool weather appropriate. Cut off the sleeve from the T-shirt right along the existing seam. 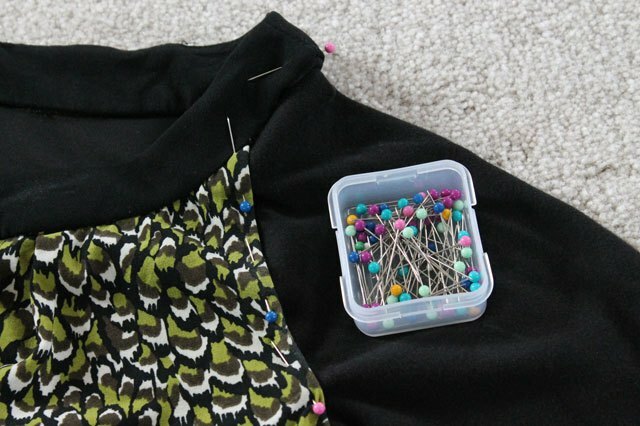 Measure around the armhole, or armscye, of the dress and around the top of the T-shirt sleeve. If the measurement of the top of the sleeve is larger than the armscye measurement, you'll need to take in the sleeve. 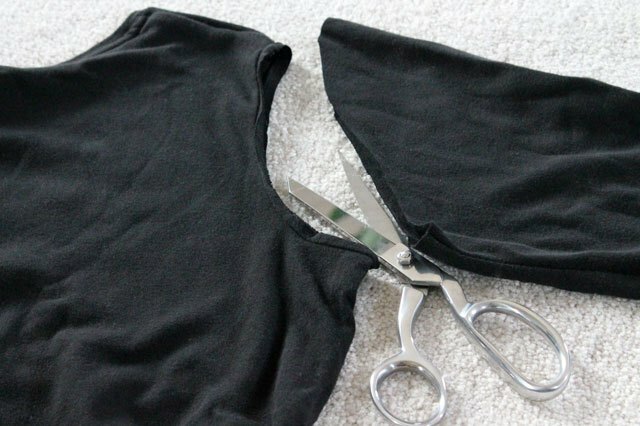 You can do this by subtracting the armscye measurement from the top of the sleeve measurement and taking in the sleeve by that much at the underarm seam. For example, if your armscye measurement is 16 inches and your sleeve measurement is 18 inches, use this equation to determine how much to take in your sleeve: 18-16 =2/2=1. You will need to take 2 inches off the circumference of the top of the sleeve. 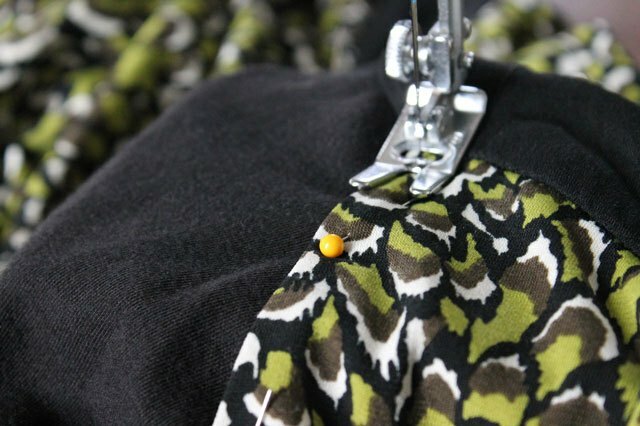 Do this by measuring 1 inch in from the underarm sleeve seam and pin along this line. 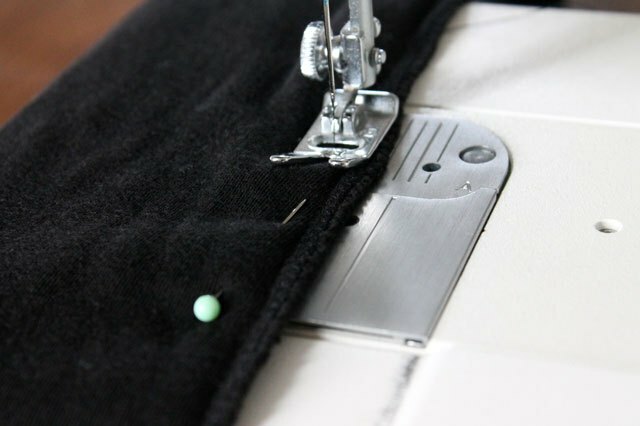 Sew along the pin line, removing the pins as you sew. 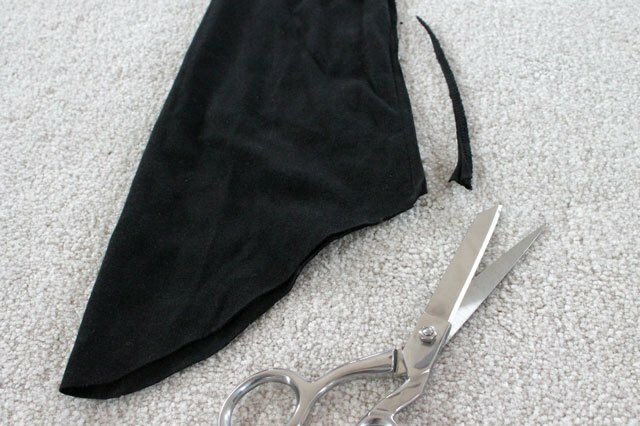 Trim the new sleeve seam. Leave a 1/2-inch seam allowance. Turn the sleeve right-side out and place it inside the armhole so the right side of the sleeve is against the wrong side of the dress armhole. Pin the sleeve in place. 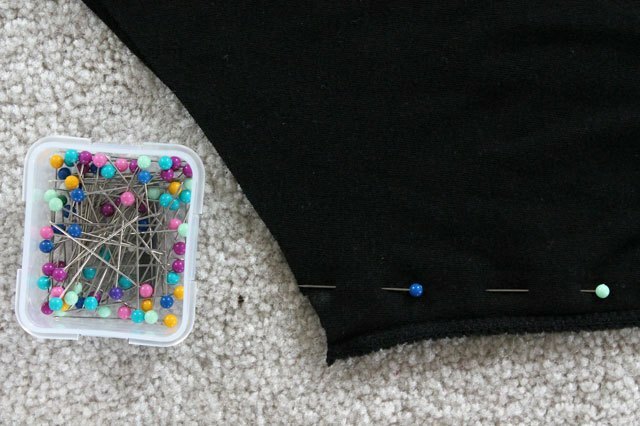 Sew the sleeve in place, and be sure to remove the pins as you sew. 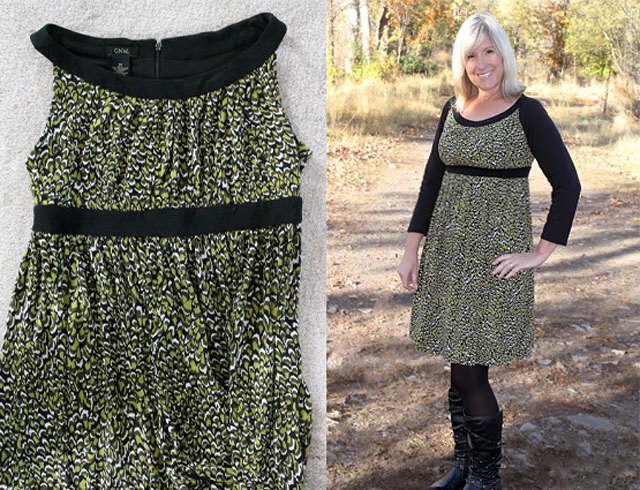 Now you can wear your dress and feel more confident, modest and warm. How Do I Add Sleeves to a Strapless Dress?